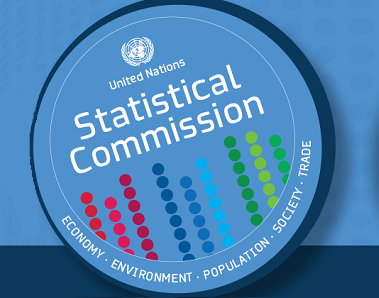 The regional workshop is organized by the United Nations Statistics Division in collaboration with the National Bureau of Statistics of Tanzania, the United Nations Population Fund, the United Nations Economic Commission for Africa and the African Development Bank. The UNSD, in collaboration with the Department of Statistics of the International Labour Organization and the Tanzania National Bureau of Statistics, will conduct a Workshop on the Production of Statistics on Informal Sector Employment and Informal Employment from 28 September to 2 October 2009 in Dar es Salaam, Tanzania. The workshop is being organized as part of the World Bank funded project “Improving Gender Statistics on Employment”. The Workshop will provide training on methods of measuring employment in the informal sector and in informal employment; as well as on the uses, tabulation and analysis of statistics on women and men in the informal sector and in informal employment. Participants will present and discuss recent experience in producing data on informal sector employment and informal employment, with a view to promoting the development of a model set of LFS questions on the topic to improve the overall quality and comparability of the information collected in the SADC region. The purpose of the Workshop is to present international standards for processing population and housing censuses and to highlight the significant additional capabilities of contemporary technologies and their use for census data capture and data editing. More specifically, the Workshop will: (1) Present revised international standards for conducting population and housing censuses, focusing on recommended core topics as identified in the United Nations Principles and Recommendations Revision 2; (2) Discuss ways of improving the management and planning of the census, including outsourcing issues; (3) Present and discuss contemporary technologies in census data capture, including the use of Optical Mark Recognition (OMR), Optical Character Recognition/Intelligent Character Recognition (OCR/ICR), (4) Discuss the process stages for data capture, (5) Present an overview of major commercial suppliers for data capture; and (6) Present the principles and practices for census data coding and data editing. The workshop will also offer the possibility to the participants to present the experience of their countries in census data processing.